After many of you asked for book reviews on instagram, I finally decided to start. I chose this one to start, as it’s maybe one of the most helpful a beginner or intermediate can find. Is it perfect? No. Is it all you’re going to need? Absolutely not. But it’s a very useful tool that can really speed up your learning process and improve your results by much in short time. The last two might look similar. However on “what I wish was in” is about something that makes some confusion, or that is lacking. The last one is not about something missing or that I might have liked made differently, but just about informations that one might expect to find and are not there because they would require too much space, or an entire other book. Those things that have been reasonably left out, and that you may want to know are not included, in case you purchased it and expected to find them. 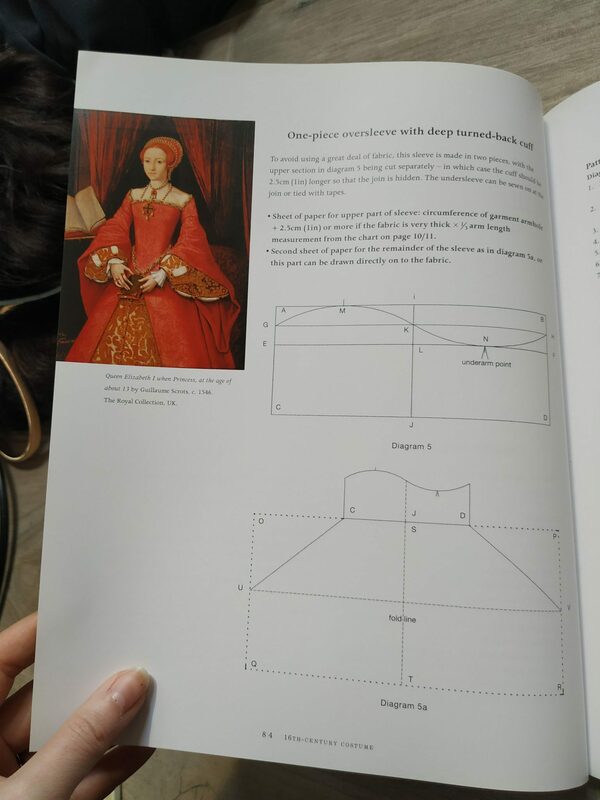 This book will teach you how to create costume patterns, from Tudor to Victorian. It will give some instructions about some structural undergarments. 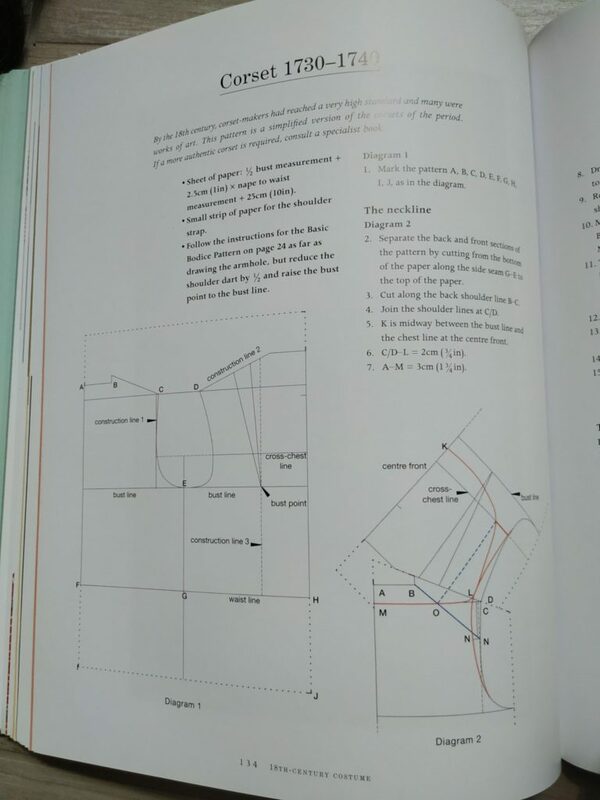 You will make the patterns starting from a basic modern pattern you’ll be guided to make in the first section. Some basic instructions on how to sew the mock-up are given. 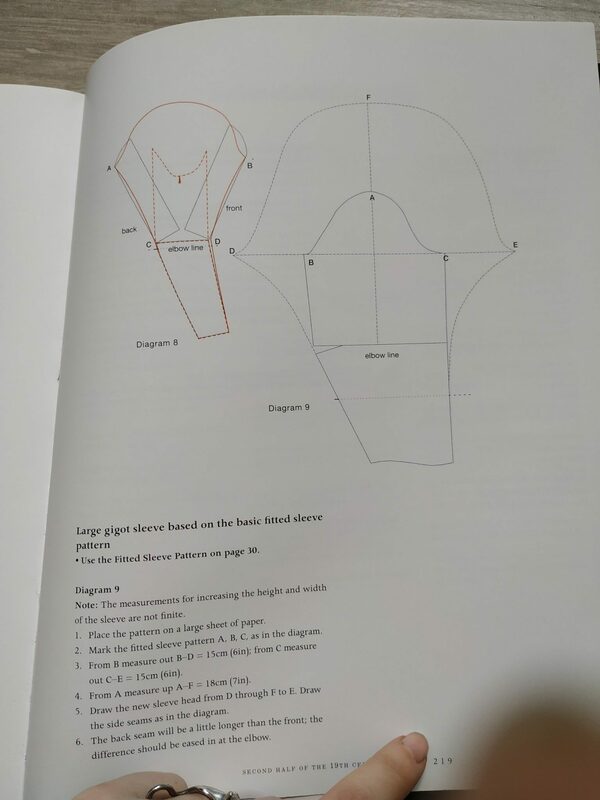 It will also include some adjustments for larger busts, how to move darts, lower necklines (also how to make a strapless bodice, which you won’t need to make any of the following patterns), and some basic drawing techniques at the very beginning. After a short introduction, some basic drawing techniques are given. A bit of this and a bit of that, from drawing ellipses, to mantua maker stitch (I’m still wondering why they included this single stitch and no further sewing instructions). 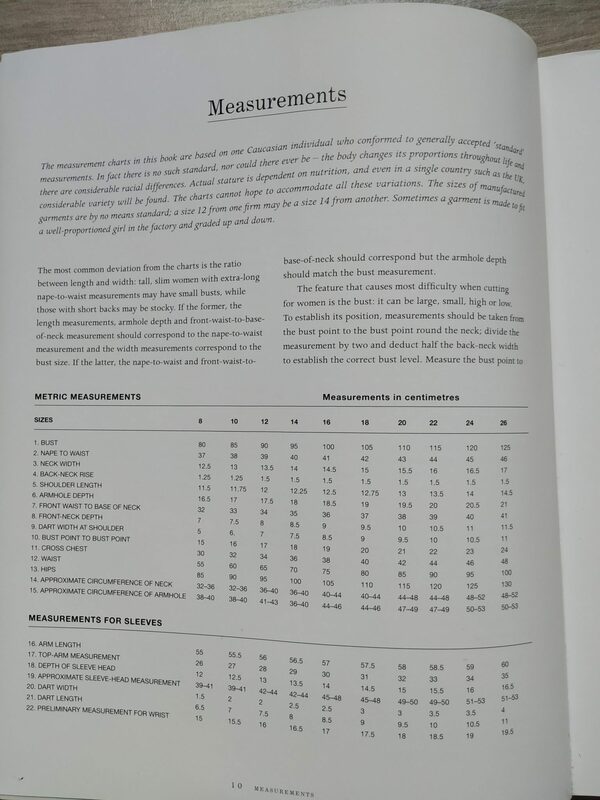 After that, there’s a measurements chart you will need to make the basic patterns, both in imperial and metric measurements. 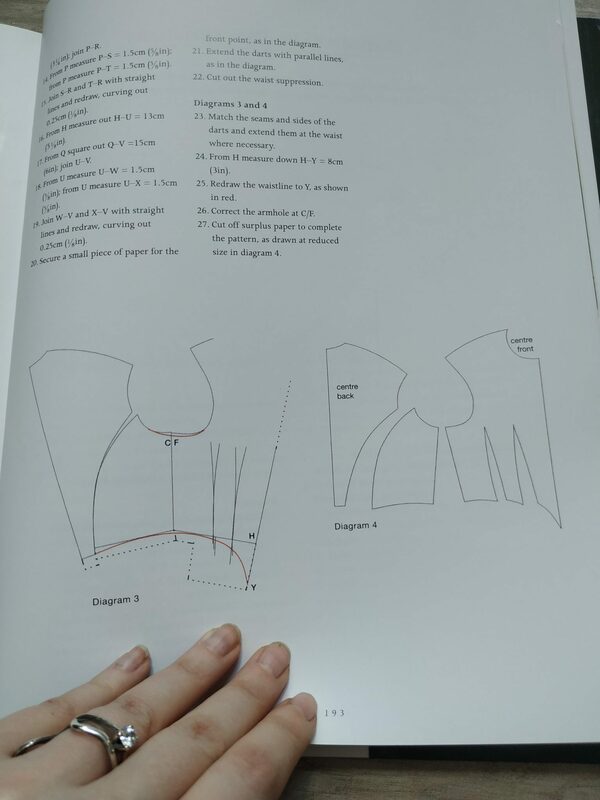 Then there’s the basic pattern section, where you’re given the instructions to actually make the basic patterns you’ll need to have as a starting point to make all the rest. 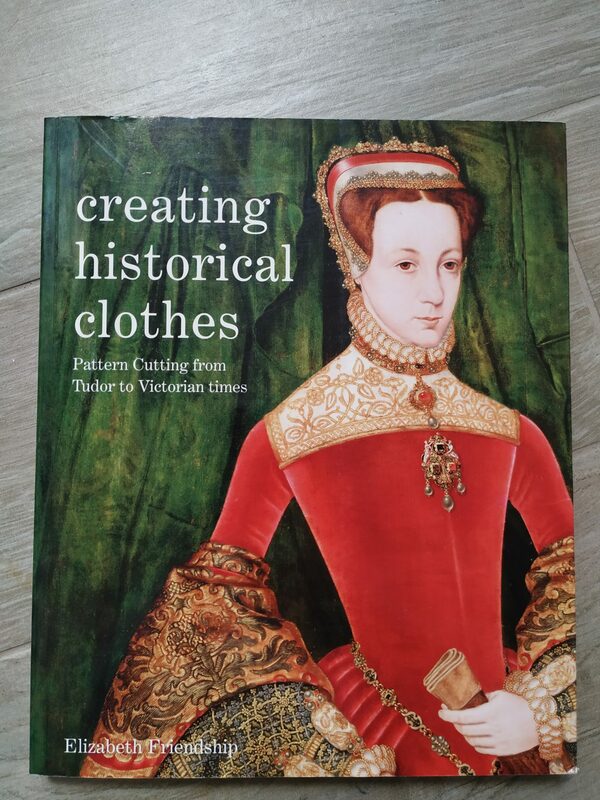 Except for the trousers and the strapless modern bridal bodice, which I don’t know why have been included in a book about female historical patterns. This is as sort of giant introduction itself to what the core content of the book is. The second part of the book is divided into centuries. 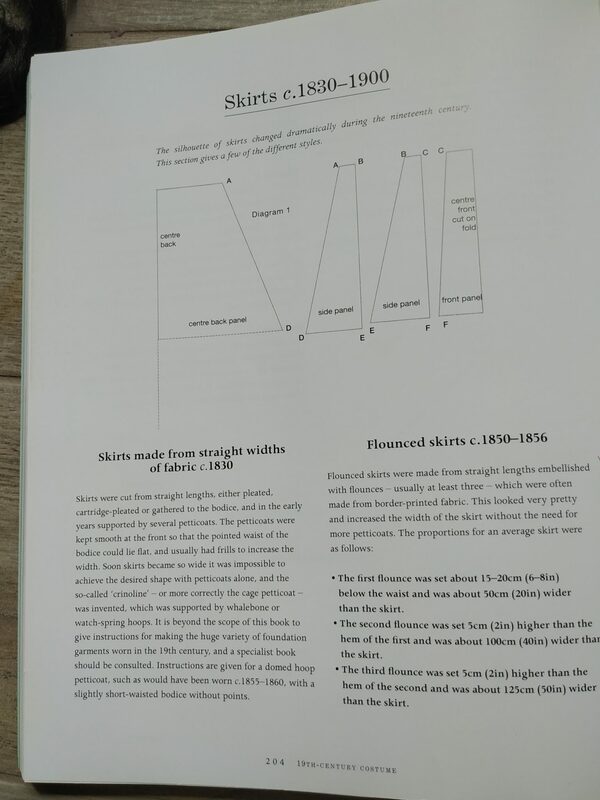 In each, there’s a short description of how the fashion changed, and after that you have the instructions on how to alter the basic patterns you made before to obtain a historical looking one. Who would find this book useful? I think this book could be very helpful to the beginner, and quite helpful to the intermediate. I have found the patterns made with this method to fit very well on me, and they need very little adjustment. However, always make a toile, as they suggest too. However, if someone is experienced and strives for top historical accuracy, this might not be worth buying. There’s no knowledge on originals that you can’t find elsewhere, should you not care much for using patterns. And the method is modern. 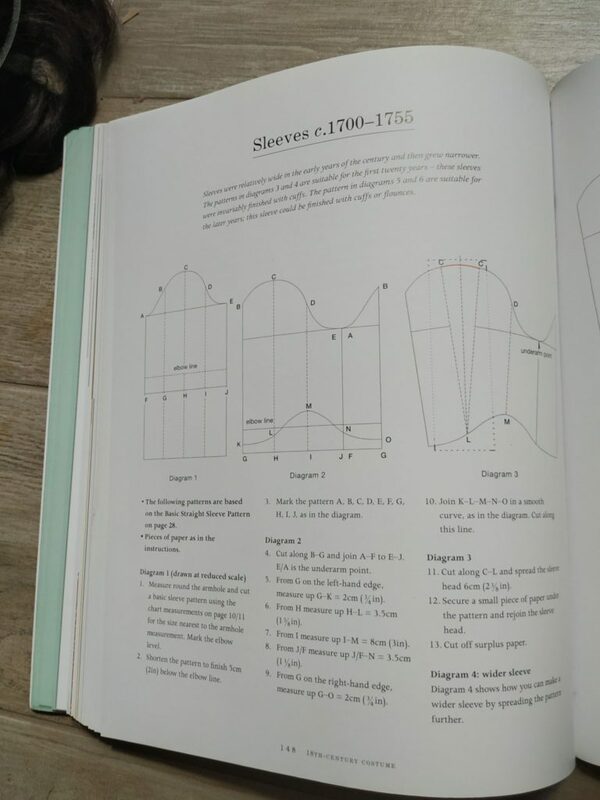 I think it could help much someone who’s trying to get closer to the historical look, but if you’re experienced, youl’ll find some differences between original patterns and these, for example in the 18th century sleeve and stays. These are a good starting point, but htere are missing nuances. Small curves here and there that identify original historical patterns. And proportions are modern. You can get a very good costume out of these, but all those details, such as the smaller back, the shorter shoulders that we can see in museum garments and all those little things are missing. I wish the trousers and strapless bodice patterns would have left their space to original patterns. It’s less useful to have the pattern for some optionals, in my opinion, than having the real reference to work with. And it would make the reader understand much more what he’s aiming for. After all, this is a modern method, not how they made patterns in the treated centuries. So you need somehow to fill this gap. I wish there were more details of paintings and originals, more reference, to say it shortly. Some books are listed at the end, but in any case I wish there was more of that in this book itself. It would have been much more useful than a pattern for modern trousers. I wish there was a bit more of international fashion, especially for the beginning of the historical part, where everything is very Tudor-oriented. Also listed suppliers are only listed for UK and USA. Well, I don’t need to have a japanese supplier, but there are suppliers in Europe that could have been listed. I wish stays were not described as corsets. This is something I wouldn’t want to read from someone writing a book. I wish there was a corset pattern, as you really need one for victorian clothing. I wish there were more instructions on how to assemble and sew things, or none at all. There are some things here and there…but not enough to guide someone trough all the process. At this point, it would have been better to keep the book about patterns only. You won’t find how to assemble and make things, nor which fabrics to use, in detail. 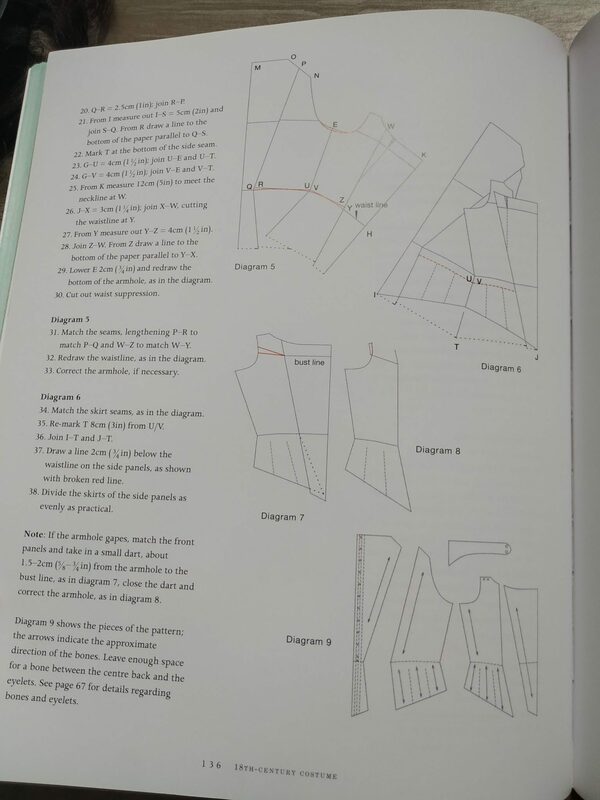 You won’t find how to place your pattern pieces on fabric, you are only told to cut on folded fabric and to use weights. You won’t find the patterns to the undergarments you will need. 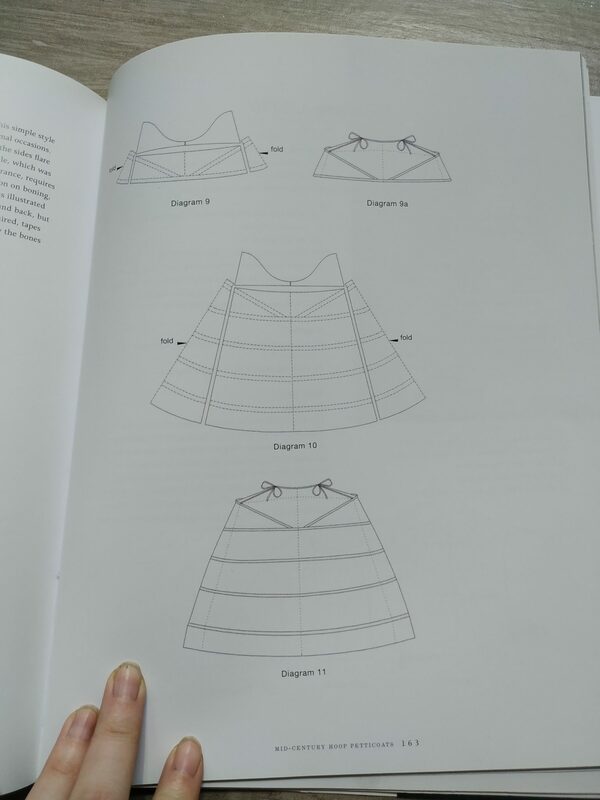 You won’t have patterns for shifts or petticoat, just the main structural things. If it has bones and hoops, you get the basic version. 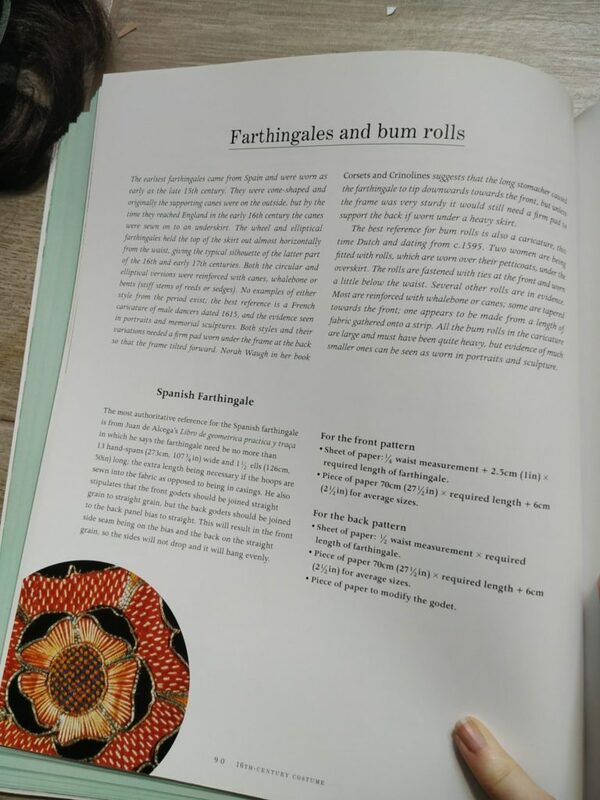 For padded stuff, you only get the basic 16th century bum roll. And there’s no victorian corset pattern. They listed several pair of stays for different eras, as corsets, but when it comes to the corset, the book abandons you. 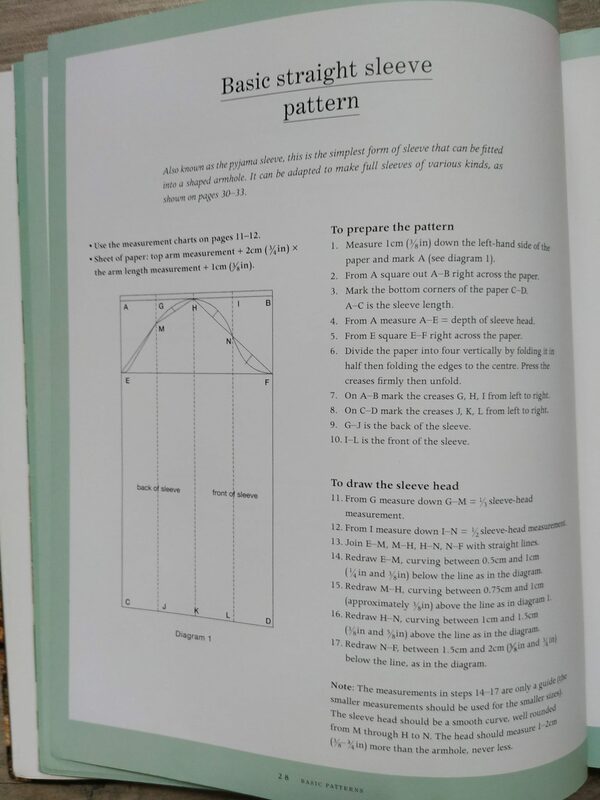 Consider this book a book about making your own patterns, and nothing else. For that, it’s great. It guides you through understanding how a mattern transforms according to sizes and different shapes, and that is very useful. Without this knowledge, you can’t get rid of commercial patterns. And it’s what it’s supposed to do, after all! So it’s a good book. I just wish they kept the extras for themselves and added more reference. For that, the various patterns of fashion, combined with this book, will be your magic wand to get from costume to clothing, as this book can creatively fill the gap of sizing those patterns to your measurements. Take the shapes and proportions of Patterns of Fashion, and start using them side by side with this book. With time, it will do wonders.